in: Hand Painted Glass, Rectangle Tray, Tikva, NEW! This brightly colored hand painted glass square features the six pointed star known as the Star(Shield) of David, and the Seal of Solomon, the two triangles forming the star symbolize our place in the universe. Pointing upward, representing spiritual growth, and downward, rooting us in reality. 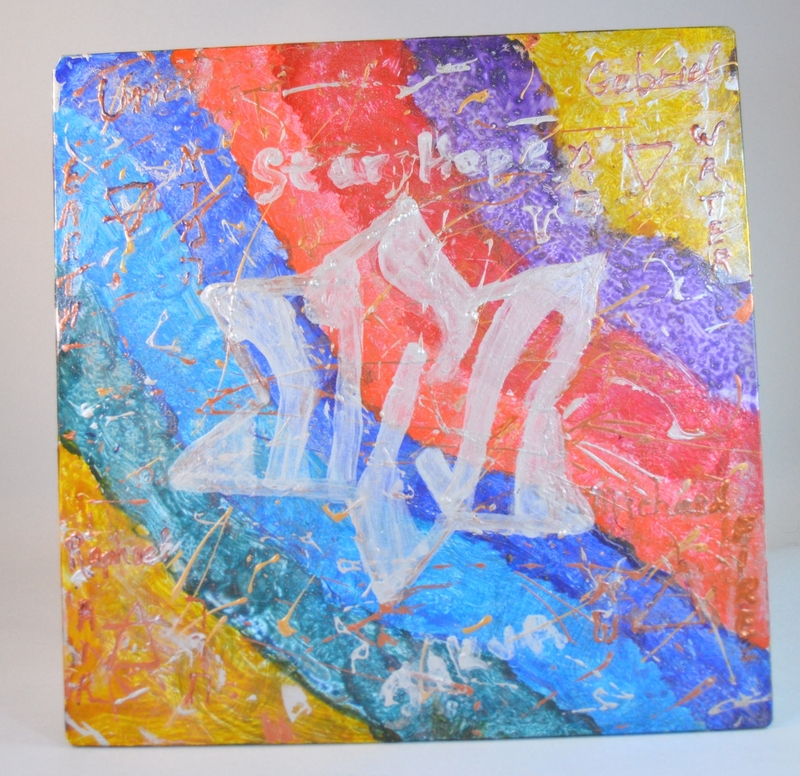 Hebrew text "Tikva" (Hope) fills the star, merging holy and secular.